(Natural News) Love ’em or hate ’em, denim jeans have become an indelible part of American fashion. Some people love it so much that they buy four pairs in a year on average. However, what goes behind making your favorite pair is anything but favorable – before jeans hit the shelves, they are heavily processed using toxic chemicals and hundreds of gallons of water to get that trademark denim hue. In the documentary RiverBlue: Can Fashion Save the Planet? award-winning documentarians David McIlvride and Roger Williams tackled this subject, as well as its aftermath in communities and ecosystems in Bangladesh, China, and India. The documentary – which has received numerous awards globally – followed celebrated river conservationist Mark Angelo as he looks at how chemical waste-making jeans and leather has affected waterways, and, in turn, local communities who depend on these rivers. In particular, an uptick in cancer cases, as well as gastric and skin issues have been noted for both residents of these communities and factory workers. To get a pair of jeans to the perfect style means that it’s processed further using toxic chemicals that endanger both the person and the planet. In particular, denim jeans go through rounds of chemical-intensive washing to get that distressed “lived in” look. These chemicals, according to environmental group Greenpeace, can find their way to local waterways where they can affect people. 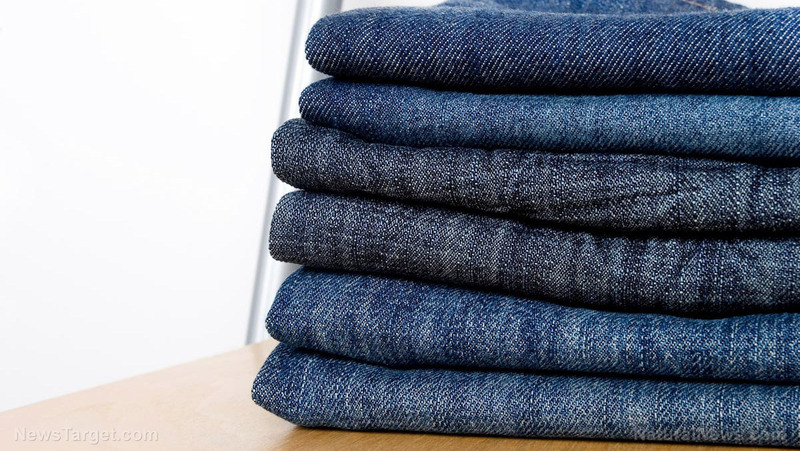 Based on the results of their tests, textile production facilities in top denim-producing towns in Asia tested positive for the presence of heavy metals including cadmium, mercury, chromium, lead, and copper. In Xintang, at least 17 of 21 samples were affected. The documentary then poses a hard question to viewers: Are brand-name clothing corporations disregarding the environment in their zeal to make their clothes faster and cheaper for the consumer? “Low cost clothing has a high cost attached to it, one to the environment and public health,” Angelo explained. The film’s producers offer a two-part solution for this dilemma – innovation on the part of the manufacturer and education for the consumer. For his part, Girbaud and other companies have found more sustainable methods of manufacturing jeans, with the help of lasers. This effectively reduced water costs and eliminated the need for sandblasting – a process that weathers the jeans using pumice stones, which puts workers at risk of inhaling fine particles. Other advancements include the use of air instead of water to dye jeans, among others. This dramatically cut down water use for making jeans – where it took 300 liters to make a single pair can now be created with nothing more than a glass of water. However, that’s just half of the battle. According to Alex Penadés, an executive in jeans washing consultancy Jeanologia, consumers must also be aware of the impact that their products have. “It’s all about co-responsibility,” he added. Learn more about other factors that contribute to water pollution by following Pollution.news today.